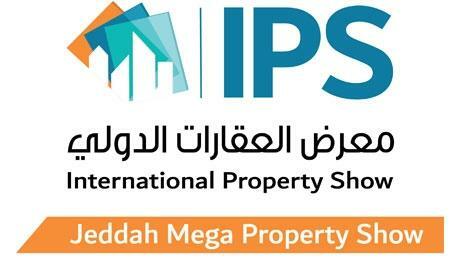 The International Property Show (IPS), the Middle East’s biggest property show platform for local and international real estate markets is coming to Jeddah. Be at the Mega Property Sales Platform where exclusive deals to end-users / investors will be offered during a 4-day event on January 17 - 20, 2019. It will enable developers to sell their project offerings onsite at much lower prices attractive to property seekers looking to explore from a wide range of choices. It is the best place to meet and do business with top-tier investors and property professionals from Jeddah. The show will be the only event of its kind that allows retail sale and purchases for both local and international properties. This will be a property festival where the Jeddah real estate community gather in one place to network and ﬁnd the best investment opportunities in the property market. This event shall provide an ideal platform for investors / home buyers looking for their dream property; and the perfect opportunity for exhibitors to showcase and sell their commercial and residential projects. International Property Show Jeddah will gather everyone from the top real estate developers, investors, government authorities, banks and other ﬁnancial institutions, legal service providers, real estate brokers, home buyers, retailers of building materials, architects, consultants, and senior level real estate professionals involved in the design and construction of commercial and residential real estate developments all in one place. It will be the perfect opportunity to network with industry peers while getting your dream property or the perfect real estate investment.